Drill Down functionality gives the ability to observe only a specific branch of the hierarchy of RadOrgChart. 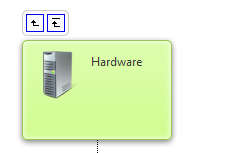 When the user clicks on the "DrillDown" icon a postback is performed and the subset of nodes is displayed. 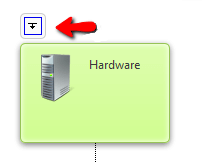 There is also a possibility to navigate to the parent Node or to the root Node by clicking on one of the following icons. The functionality could be enabled by setting the EnableDrillDown property to true.